Funky Polkadot Giraffe: Back To School: Are You Ready? I can't believe that next week we're back to school! and new school shoes have been purchased. Back to School Survival Kit this week. 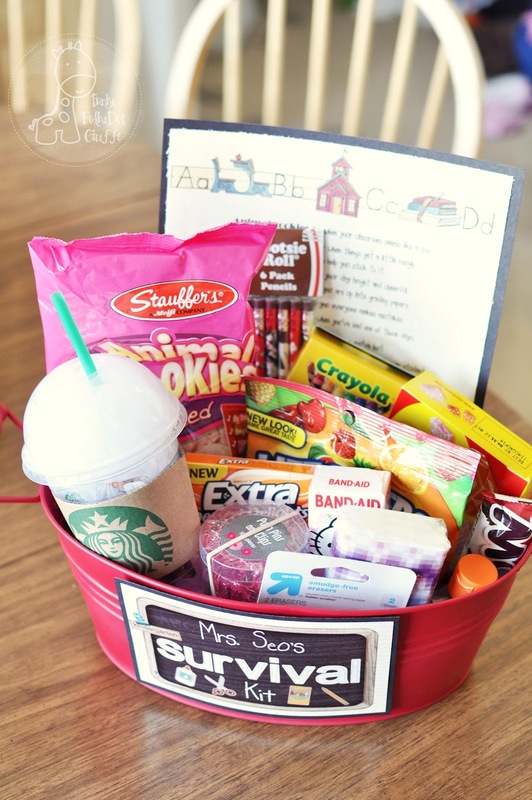 You can make your teacher one too! side and make something for JT's teacher. over in THIS POST from last year!